Once you or a professional ISA Certified Arborist® has removed a tree, you are left with an unsightly reminder: the stump. Stump removal may be even more difficult than a large tree removal. 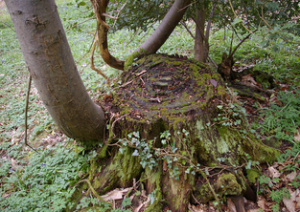 After all, stumps are heavier than you might think and often have extensive root systems that are unexpectedly massive. Plus, your waste collection agency might refuse to accept a stump in your yard waste bin. Hiring a professional for stump removal in Portland is thus a very smart move. You can leave a stump where it is — but that is generally not recommended. 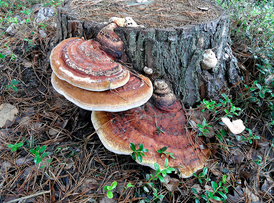 Once the trunk of the tree is gone, the stump and roots will start to rot, becoming a magnet for certain insects and fungi. A decaying stump is not something most people want in their yard. Not only is it an eyesore, but it is also a liability and may become a sinkhole down the line. Once you’ve decided on stump removal, the question becomes, “Do I hire a stump grinding company in Portland or do it myself?” Stump removal on your own is inherently risky unless you’re highly experienced. Here’s why. First, you never know what you’re going to find when you start digging up a stump. You might merely encounter broken glass and old plastic bottles among the dirt — or your shovel could accidentally hit a pipe or underground cable. The ISA Certified Arborists® at Northwest Arbor-Culture, Inc. are best equipped to handle stump removal and grinding, because we not only contact local utilities to find out if digging is safe, but we also have the heavy-duty equipment, skill, and years of experience that the average homeowner lacks. Stump grinder rental is a possibility, but it involves heavy equipment that can severely injure you if you aren’t careful, and it can cost several hundred dollars to rent. 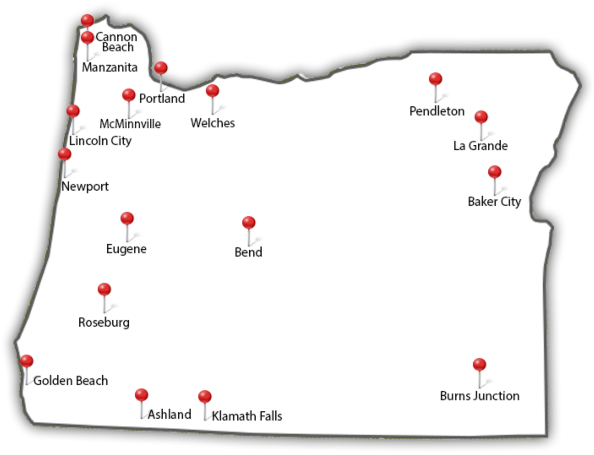 Leave the risk to a trained, licensed stump removal company in Portland so you can focus on beautifying your yard. When Is the Best Time for Stump Removal? Ideally, as soon as a large tree falls down (or is chopped down), the stump should go too. The longer you leave a stump as-is, the more suckering and seedlings may be a problem. (Suckering is when shoots start to sprout from the stump or roots.) Even if the stump is dead, you should hire someone to remove it sooner rather than later, so it doesn’t have a chance to rot, attract pests, and potentially become a hazard. During winter, the ground may be frozen, making it an excellent time for stump removal. Early spring may be a desirable time of year, as it is before new growth, and you’re starting to think about summer entertaining in your backyard. However, stump removal in Portland can happen anytime — just give us a call. What Can I Expect with Stump Grinding? A stump grinding machine, an extremely sharp wheel with carbide teeth, will chip away at your tree stump, turning it into copious wood chips. A stump grinding company like Northwest Arbor-Culture Inc. will grind your stump down until it is at ground level or several inches below. If you wish, we will also excavate and remove the root system. Make sure you’re clear with your stump removal company about what services will and won’t be included. Once we’ve ground out your stump, you can keep the wood chips for compost or mulch, or we can remove them. Note that wood chips soak up nitrogen and prevent grass from growing — excellent if you want to use them on a pathway. What happens next will depend on your plans for the spot — are you hoping to plant a new tree in place of the old one, replace it with plants, or cover the spot with grass? We caution clients that planting a new tree may be unwise if its roots come into contact with remnants of dead wood from the old root system (old roots should be completely gone). To add grass, you’ll want to fill the slight depression in the ground with soil before covering the area with sod. If planting flowers and other plants is your goal, fill the hole with nutrient-rich dirt first. And get ready to enjoy the improvement to your yard! 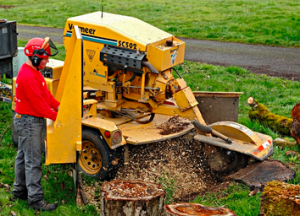 Why Hire a Portland Stump Grinding Service and Certified Arborist? Unless you’re extremely knowledgeable and equipped, a stump grinding company in Portland, OR will do a safer and more professional job grinding and removing your tree stump than you can yourself. If you go with a pro, always make sure to hire an ISA-Certified Arborist.® Not only do professionals need several years of on-the-job experience in order to obtain this certification, but we have passed the extensive exam about all facets of tree care. When you hire the ISA-Certified Arborists® at Northwest Arbor-Culture, Inc., you’re getting peace of mind that we will take only the best care of your yard and landscaping. 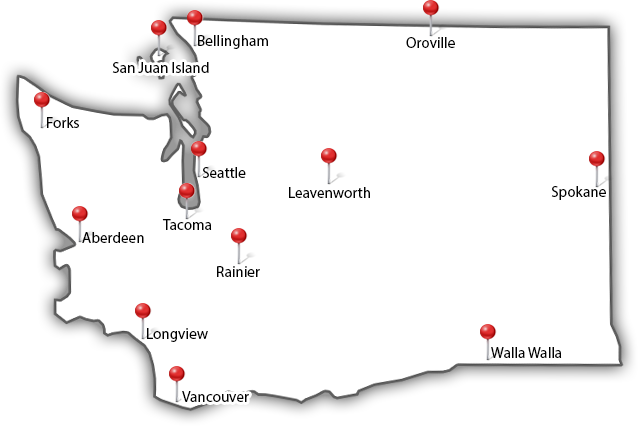 Need stump grinding in Portland? 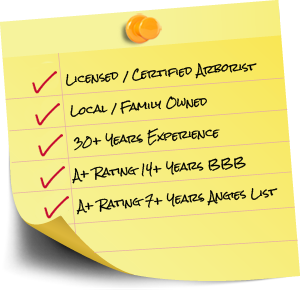 See Northwest Arbor-Culture, Inc.’s qualifications and call or email our Certified Arborists today!